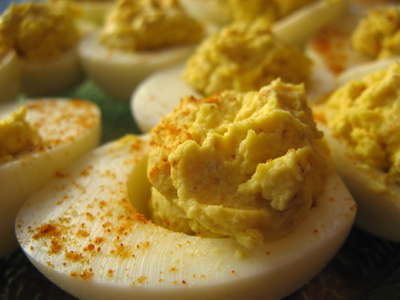 Like many families we love making deviled eggs for Easter. Long gone are the days when my boys were little and they would dip their eggs into the cups of pastel colored water. They would decorate the eggs while I took pictures and after awhile we would peel those beautiful eggs and devil them. So every year at this time I boil the eggs and remember. 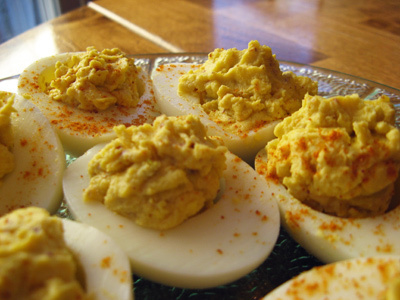 Our favorite is a simple classic recipe that you find in a lot of recipe books. I wouldn’t dare mess with the recipe because it’s become tradition with our Easter holiday. You might want to double the recipe though, they don’t last very long. The way I boil the eggs is to place 12 eggs into a deep stockpot filled with enough water to cover them. Bring the water to a boil and boil for 2 minutes. Turn off the burner and cover with a lid. Let the eggs sit in the hot water for 10 minutes. A time or two I have forgotten and let them sit for longer than 10 minutes but they always come out fine. While the eggs are boiling I got out the ingredients needed to make a dressing for the cooked yolks. 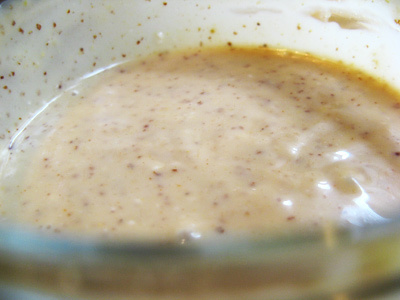 Mayo, dijon mustard, apple cider vinegar, sugar, worcestershire sauce, hot sauce and salt is all you need. Mix all the measured ingredients together in a small bowl. Whisk together to make a dressing. Cover and set aside in the fridge until you need it. Once the eggs have timed out, take them out of the hot water with a slotted spoon and place into a bowl of cold water for a minute before placing on a towel to dry. 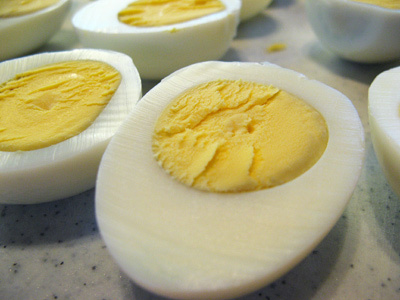 Peel the eggs and cut each egg in half lengthwise. Remove the cooked yolks to a medium sized bowl. 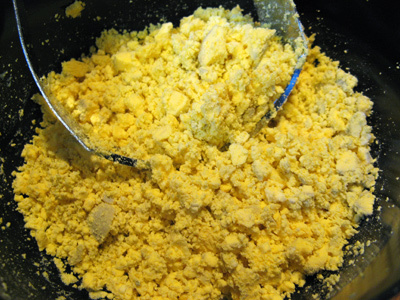 I like to use a pastry cutter to cut through and mash the yolks into a crumbly mass. I like it slightly crumbly with little bits of egg but you may like it smoother. The longer you mash the smoother it will be. 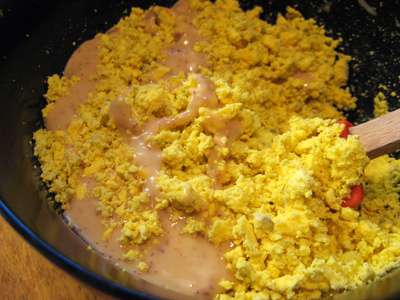 Retrieve the dressing mix from the fridge and add to your egg yolks and start stirring. It’s going to cream together nicely. Now take a little spoonful and fill each egg white. Don’t put too much or you won’t have enough to fill them all. And if you want to add a bit more color, sprinkle a little paprika over the top. 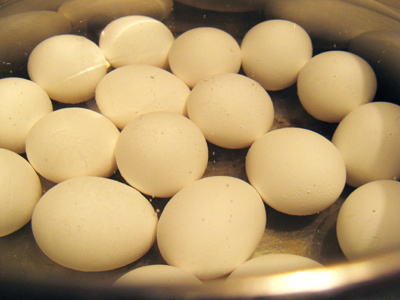 Place eggs in a large stockpot and fill with enough water to cover eggs. Bring to a boil and continue boiling for 2 minutes. Turn heat off, cover pot with a lid and let sit for 10 minutes. Remove eggs with a slotted spoon to a large bowl filled with cold water for 1 minute. 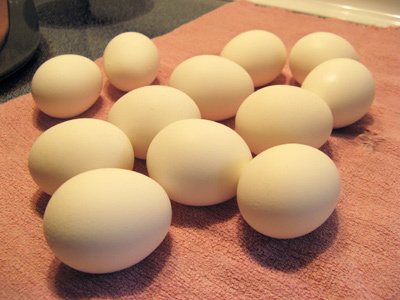 Place eggs on a towel to dry. 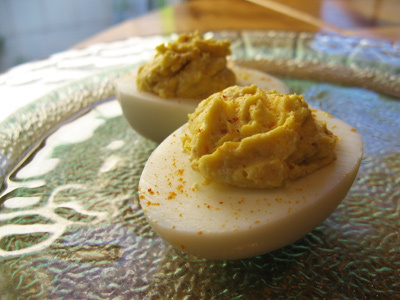 Peel eggs and slice in half lengthwise. Carefully remove yolks to a medium sized bowl. 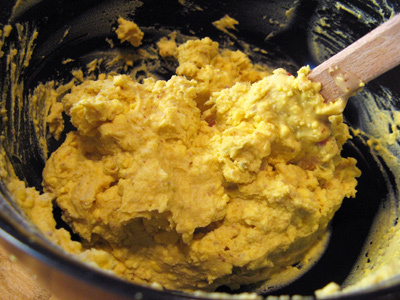 Mash yolks with a pastry blender. 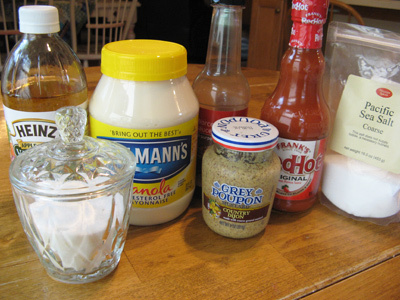 Whisk together mayonnaise and next 6 ingredients to make a dressing. 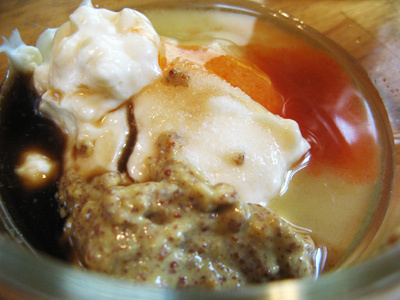 Pour dressing in with the mashed yolks and stir until well blended and creamy. Place a dollop of yolk mixture into each egg white half. Sprinkle with paprika.